The E100 Round close coupled toilet is a stylish and environmentally friendy water saving toilet. The cistern uses 4 or 2.6 litres each flush, 60% less water than a standard toilet. 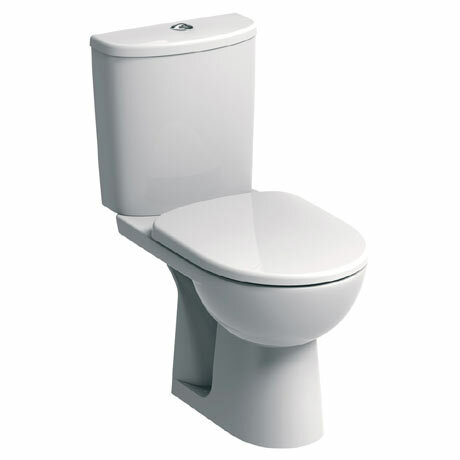 Manufactured from vitreous china, this toilet can be used in domestic and commercial applications. The soft close seat features quick release hinges to make the seat and pan easier to clean. Dimensions: (W)360 x (D)670 x (H)775mm approx.